Welcome to Blackburn Inn, your centrally located boutique hotel, surrounded by an abundance of things to do in Staunton, VA. Just a 5-minute walk away, downtown Staunton will sweep you off your feet with its eclectic and historic architecture, mom-and-pop, locally-owned stores, farm-to-table dining, esteemed art galleries, boutique retail shops, cozy bookstores, and more. Nestled in Virginia’s Shenandoah Valley, Staunton’s small-town secret is out, with people visiting from all across the country to experience the local music scene and renowned American Shakespeare Center. 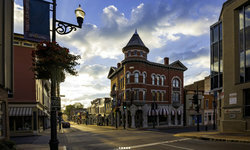 For some additional tips on your Spring trip to Staunton, take a look through Visit Staunton's Spring Bucket List. 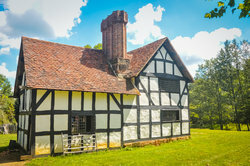 Shakespeare’s Blackfriar Playhouse – See timeless Shakespearean performances! Boasting a close relationship with the renowned playhouse, our guests are offered a complimentary upgrade to VIP section seating when they purchase theatre tickets during their stay at The Blackburn Inn. Woodrow Wilson Presidential Library & Museum – Explore the life and times of our 28th President, President Woodrow Wilson, in a grand library, elaborate gardens, galleries, and finally, the vast gift shop. 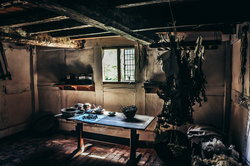 Frontier Culture Museum – Experience this living history museum, which details the story of Staunton’s original settlers who migrated from Old World to America. Mary Baldwin College – Visit this private Presbyterian liberal arts university with ease from our central location. 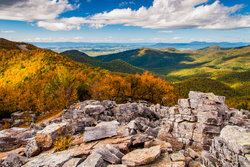 Staunton is located in the heart of Virginia’s spectacular Shenandoah Valley just below the Blue Ridge Mountains – promising unforgettable views and stunning outdoor adventures throughout your visit. With numerous trails to explore and a wide range of ways to see them, you are sure to enjoy the nature-focused things to do in Staunton. 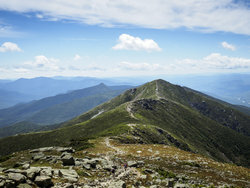 Hike the Appalachian Trail – This famed trail extends across state lines and takes between five and seven months to walk. Access it from Staunton and tackle a portion of your choosing. Grand Caverns – Easily access America’s very first show cave from The Blackburn Inn. Polyface Farm – Joel Salatin breathes innovative life into holistic and sustainable farming practices and is hailed as the world’s “most famous farmer”. Traipse – Use this free app to take a walking tour of the historic downtown core of Staunton, which incorporates meaningful and educational information, riddles to decipher, and the area’s top stops along the way. 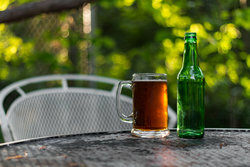 Shenandoah Beerwerks – Pair your outdoor quest with a pint of Virginia’s own craft beers. Choose from the 14 delicious breweries along the trail – ask our knowledgeable concierge for tips, tricks, and recommendations for planning your route. 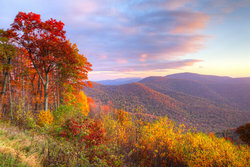 Blue Ridge Parkway – Take this notoriously scenic drive, carrying you from Virginia all the way to Cherokee, North Carolina. Hop on and hop off easily from our property, and absorb some of the stellar views along the way. Plus, get outside and appreciate nature with the community by joining us in the autumn season for Fall Foliage Festival Bike Festival, which appeals to leaf peepers and hikers alike. 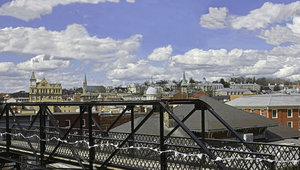 Find more wonderful things to do in Staunton, VA at Visit Staunton! Book your stay at The Blackburn Inn today to explore all that the captivating local area has to offer.